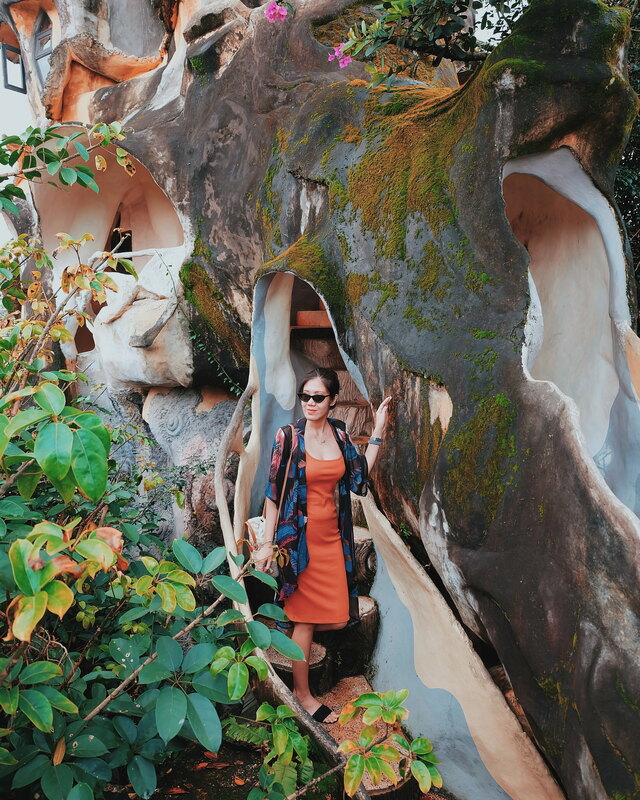 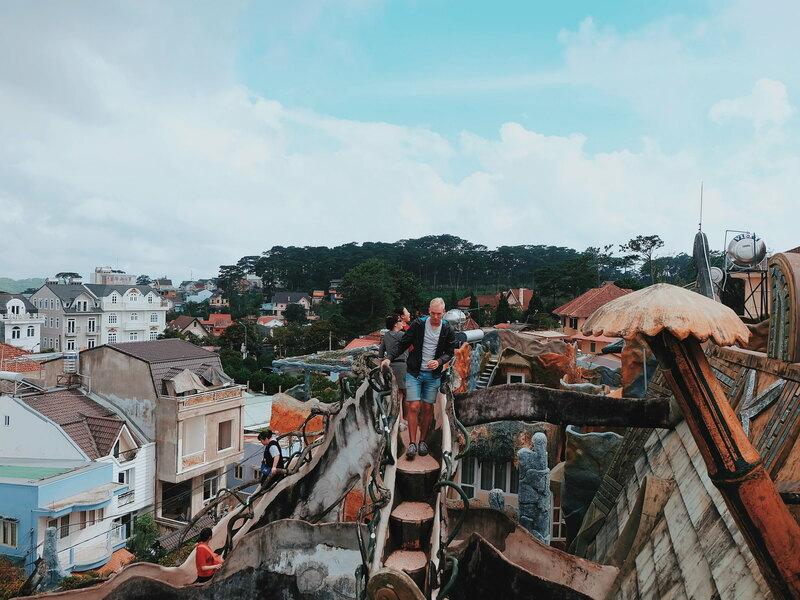 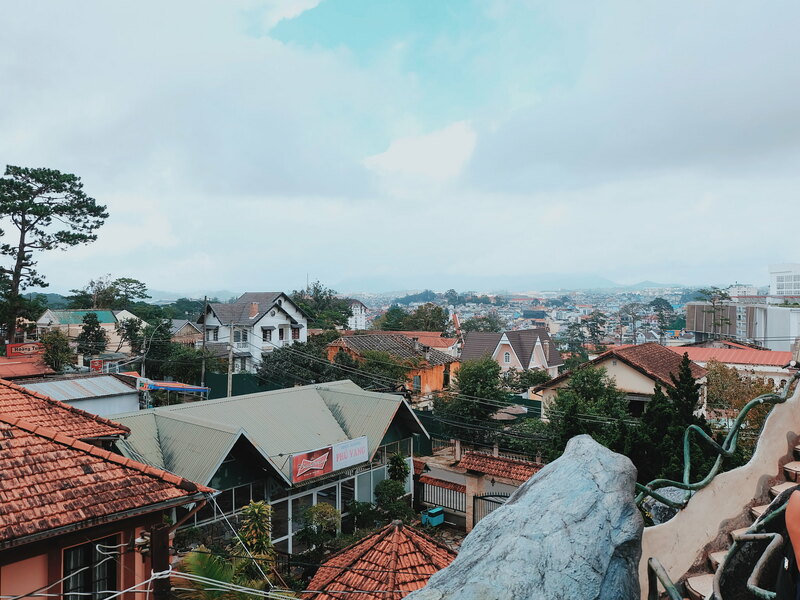 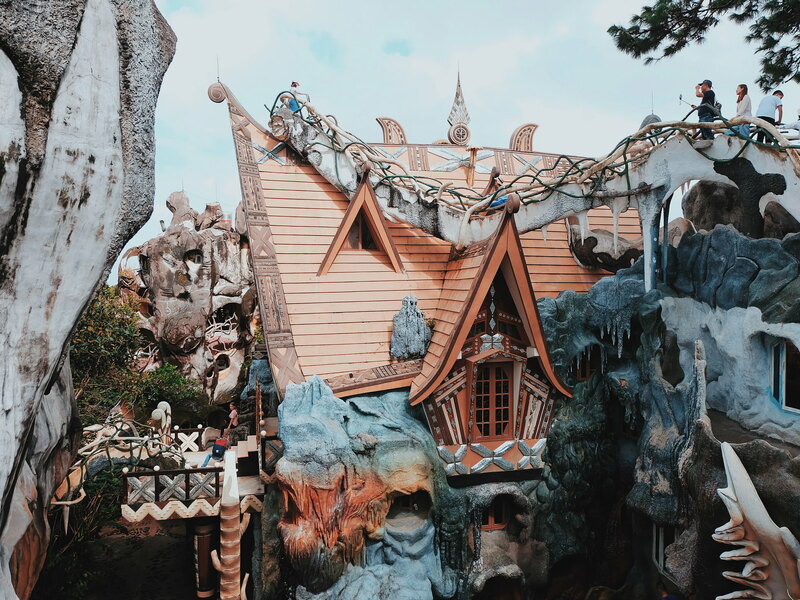 Before we even arrived in Da Lat from Mui Ne, Crazy House (Hang Nga Guesthouse) is already on top of our must-visit places. 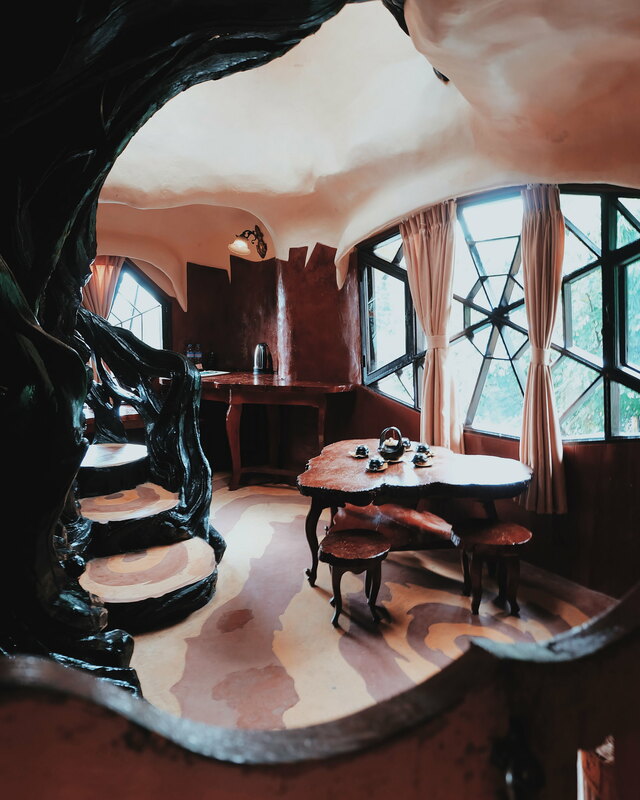 A quick search on google describes the place as a Gaudi-inspired building. 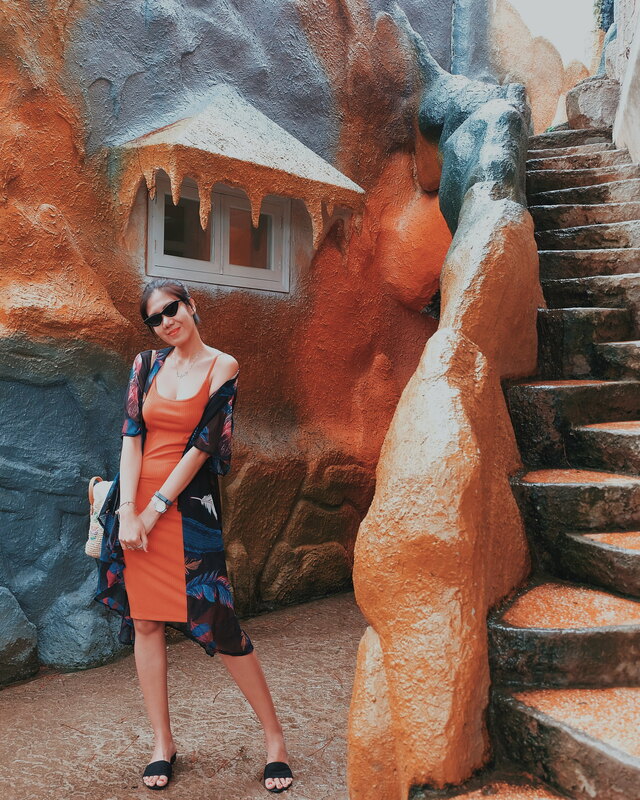 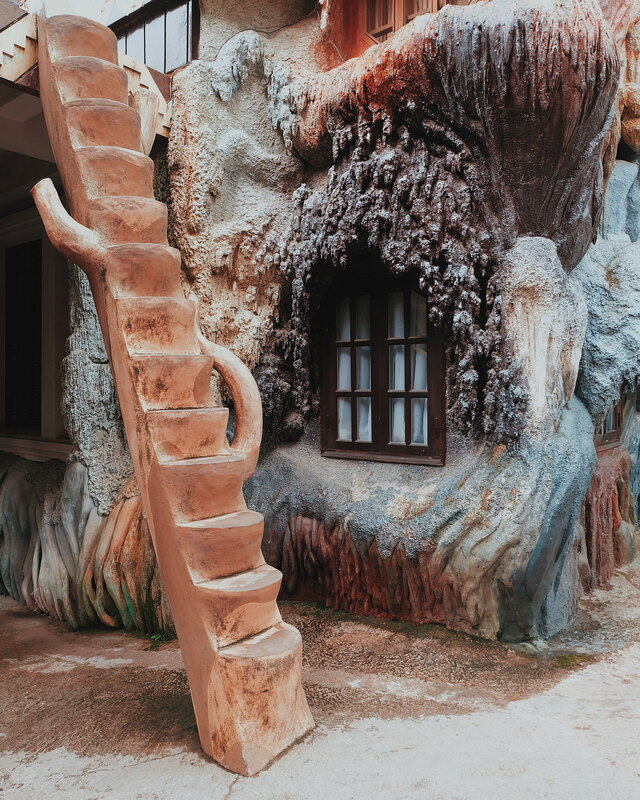 I always admired Antoni Gaudi's one-of-a-kind style and architecture design so I was excited to explore the Crazy House. 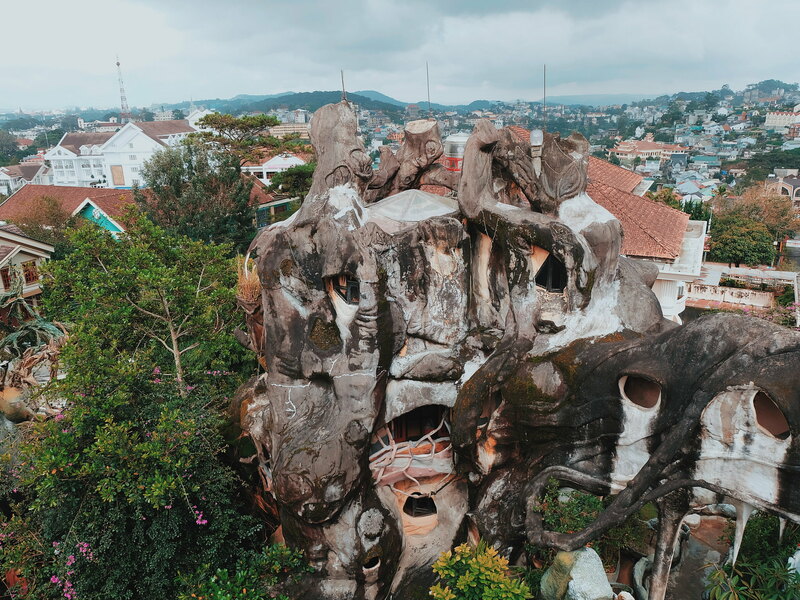 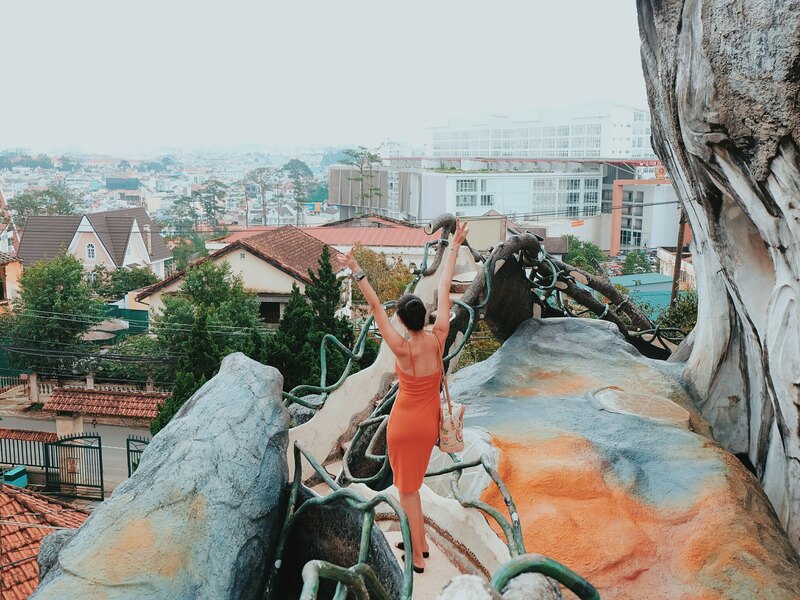 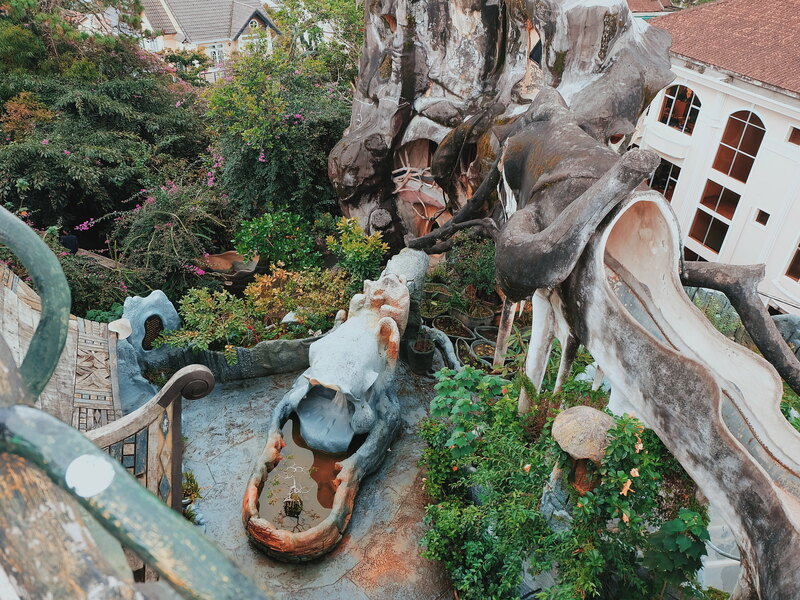 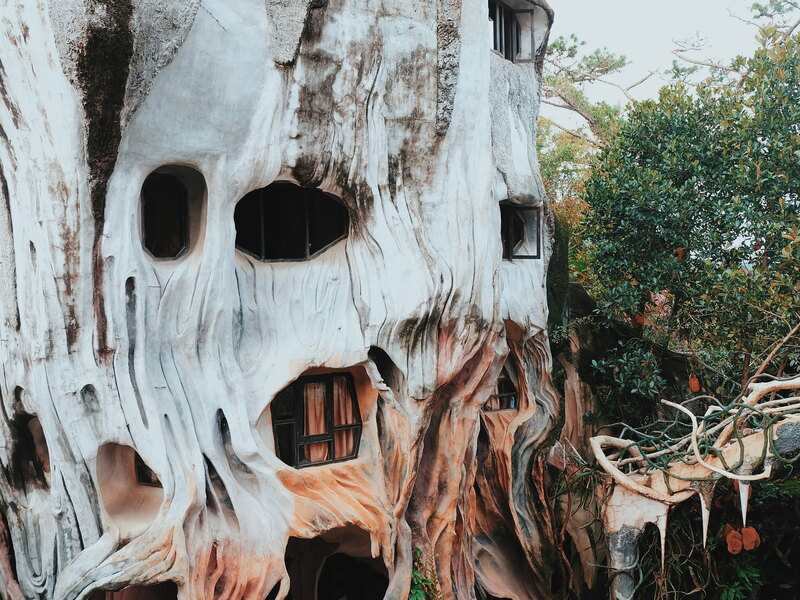 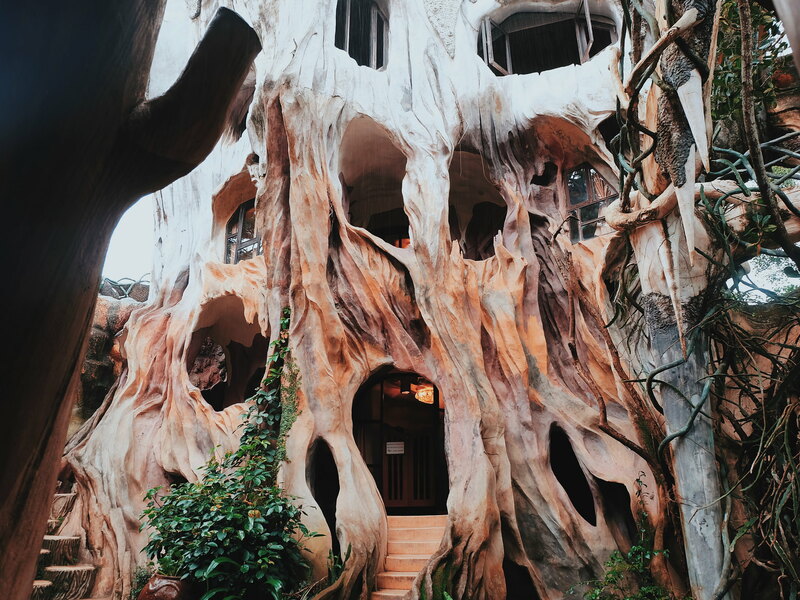 Crazy House was designed and built by Vietnamese architect Đặng Việt Nga who acknowledged that her work was an inspiration by Gaudi and the natural environment surrounding Da Lat. 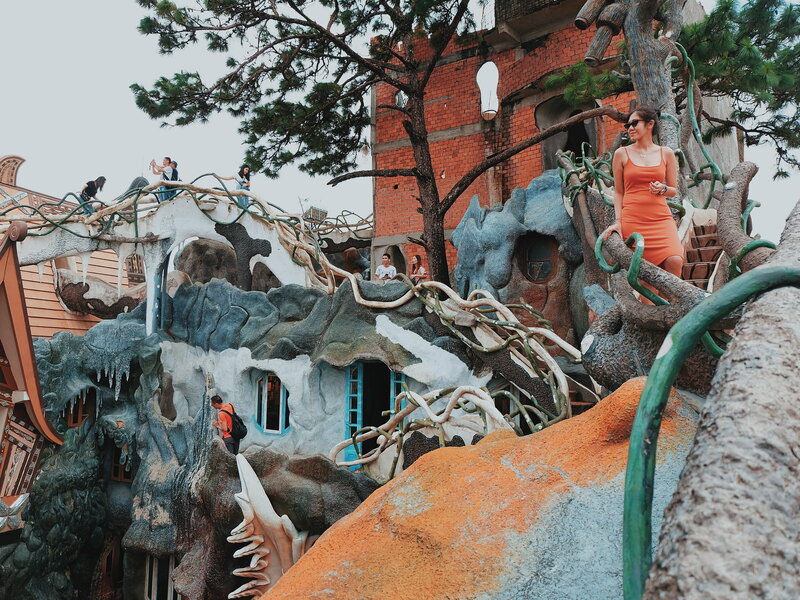 Crazy House was built in 1990, and is just one of the many "crazy" buildings that was created by Dang Viet Nga who got her PhD in architecture from Moscow. 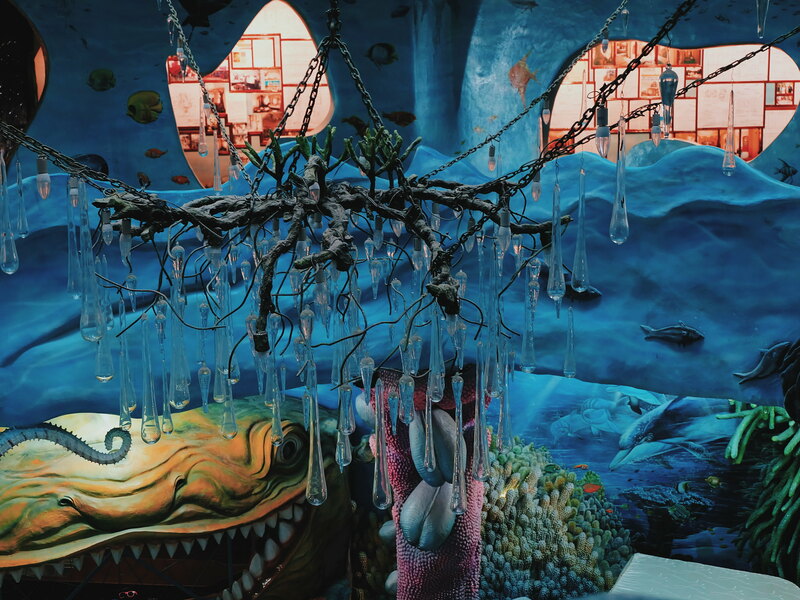 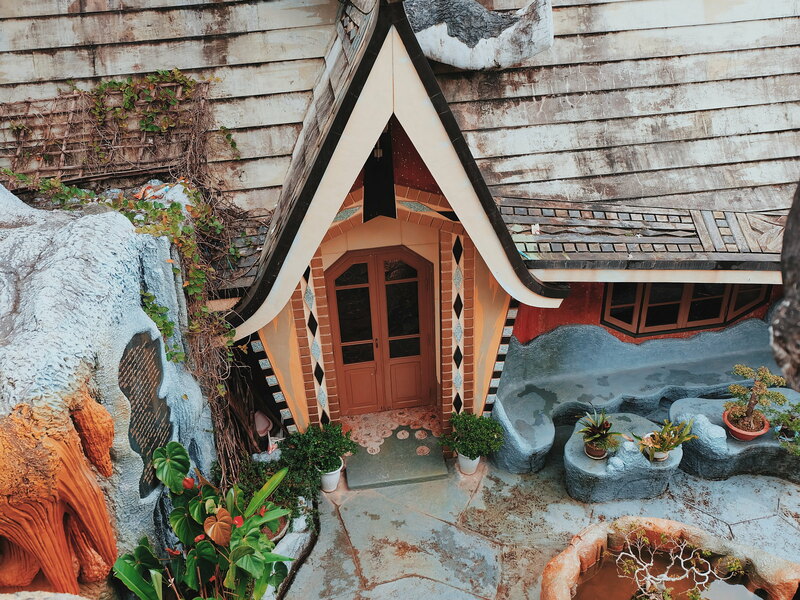 True to its promise, Crazy House is like a fairy tale house-slash-labyrinth. 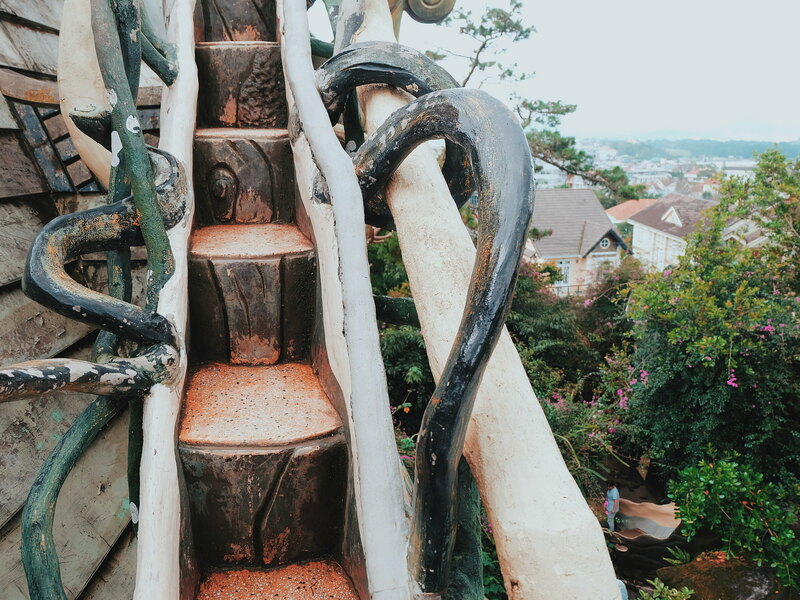 It is a maze of outrageously slim bridges rising to the roofs of medieval-like houses, with jungle vines handrails, surrounded by lava-like shapes of cascading design. 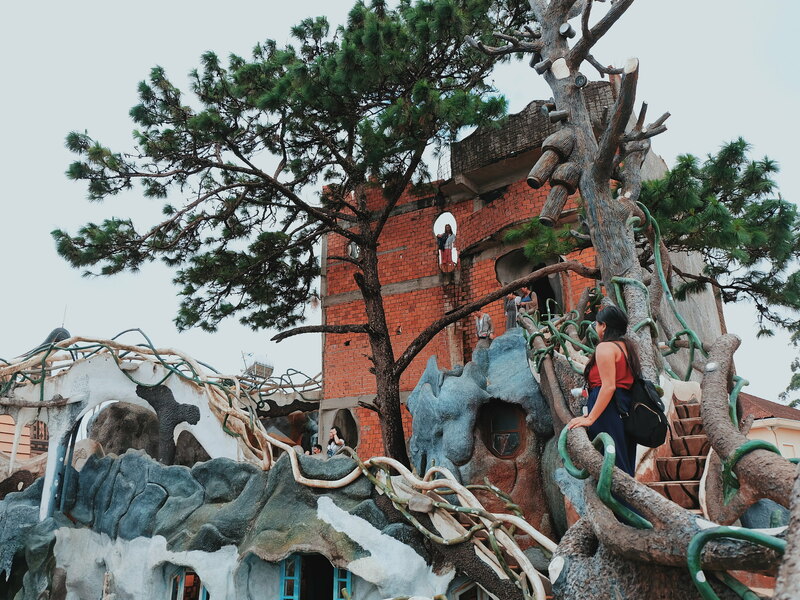 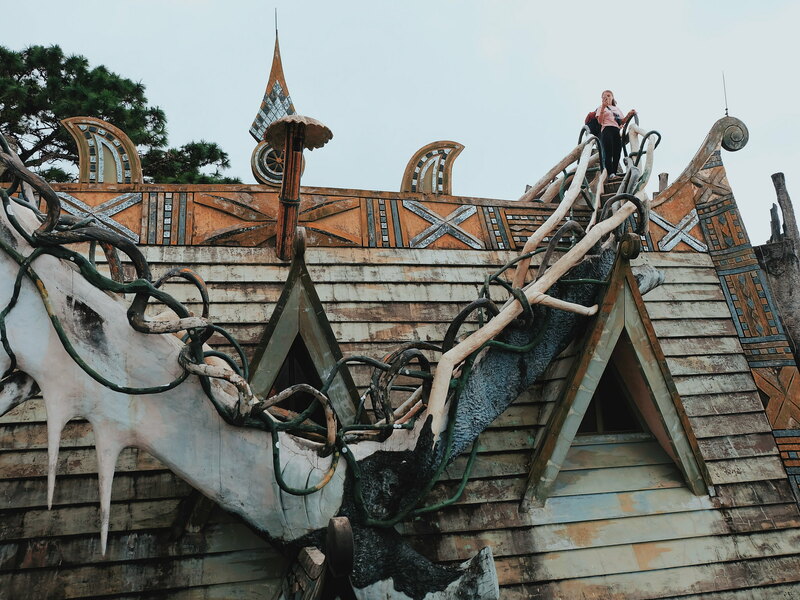 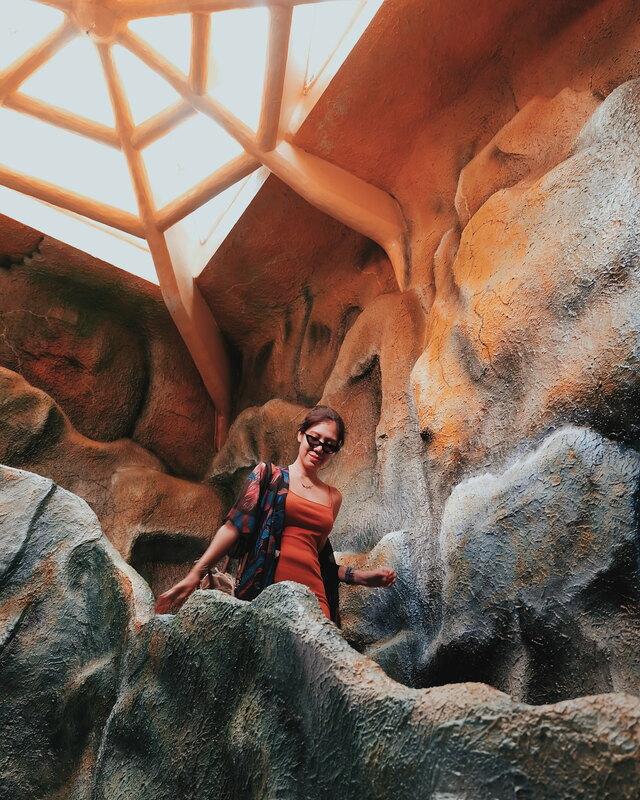 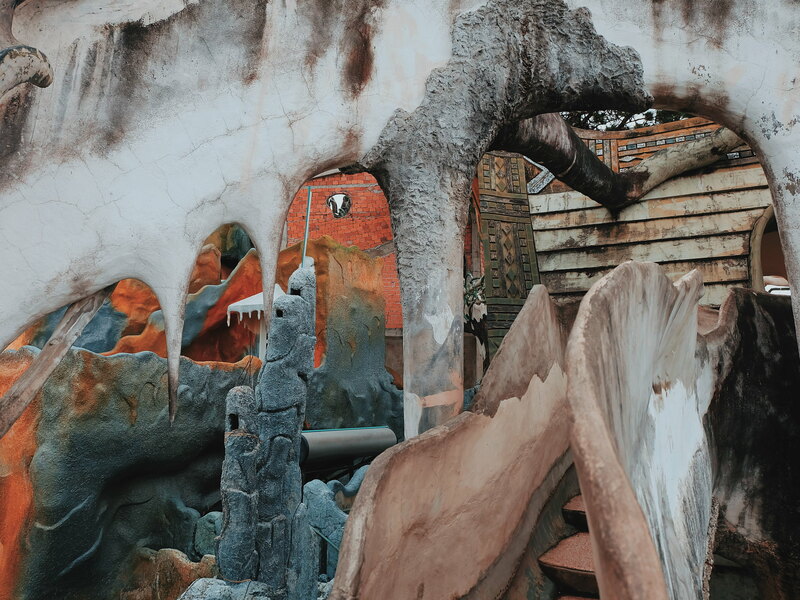 I had fun exploring the Crazy House which actually reminds me of Park Guell in Barcelona. 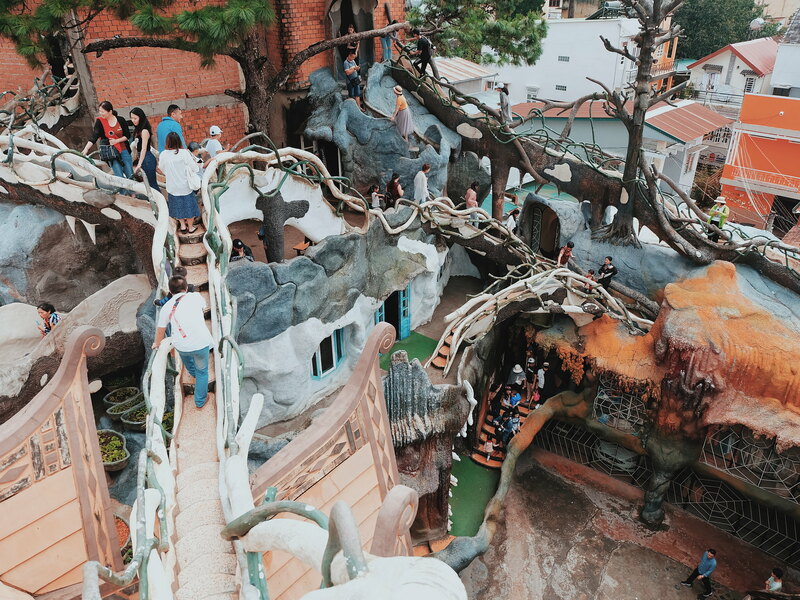 The place is actually not child-safe and not for those with fear of heights, because some of the staircases have superslim walkways and really low handrails. 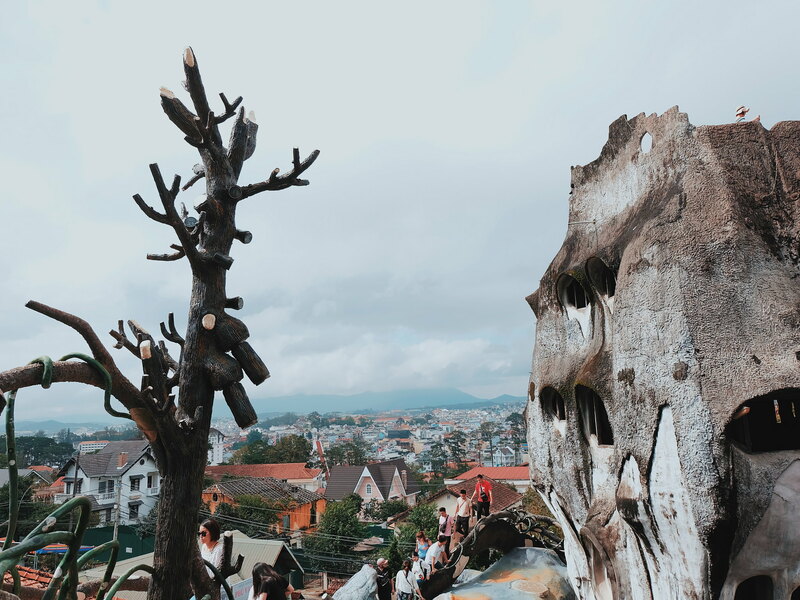 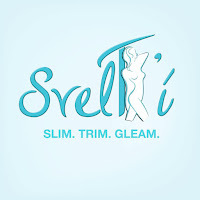 It is one of the places I recommend that you must visit when in Da Lat, Vietnam. 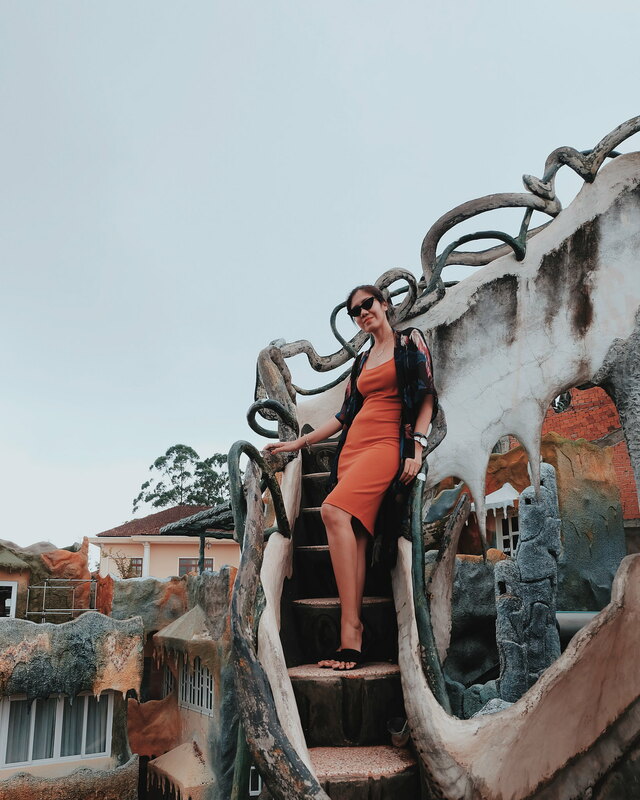 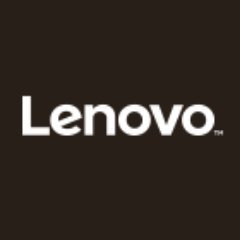 Kindly message me via instagram for instructions on how to claim your prize! 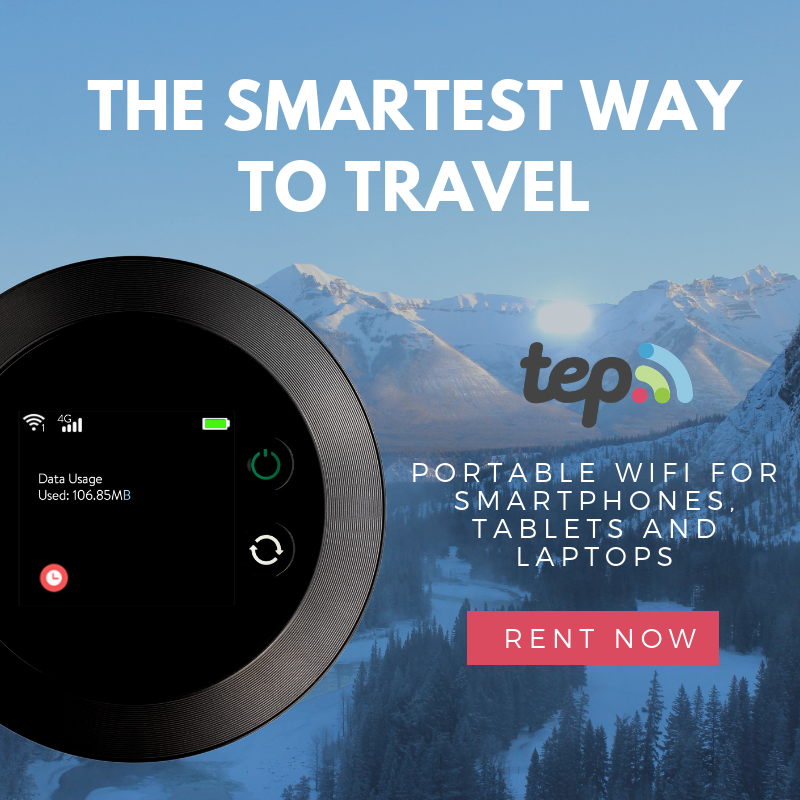 Thank you to everyone who joined the giveaway! 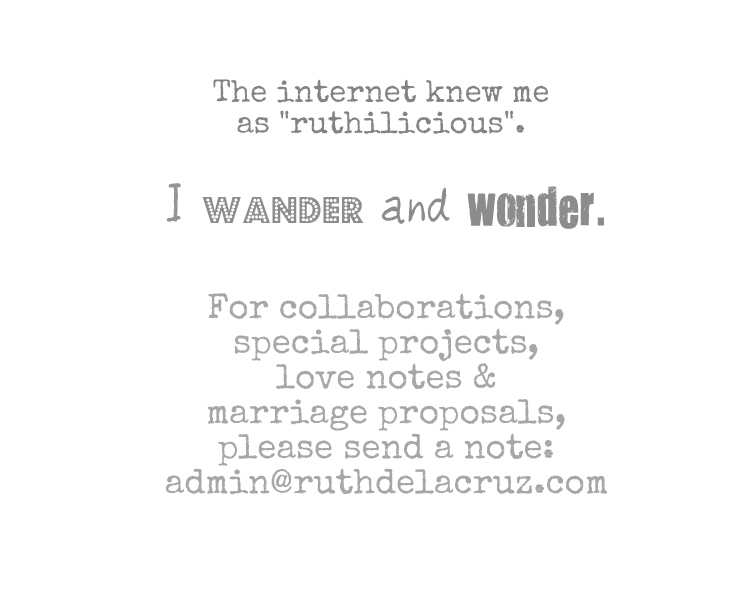 More coming up soon!